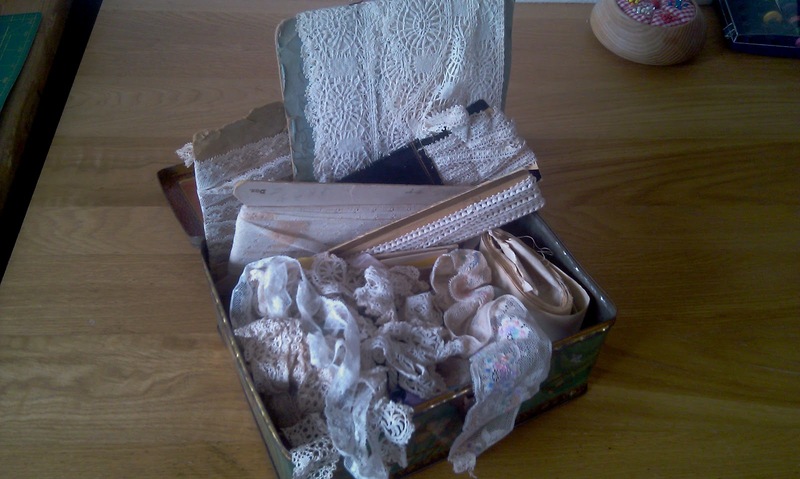 I had recently been given a stash of vintage lace and trims, some of which were still in their original packaging. 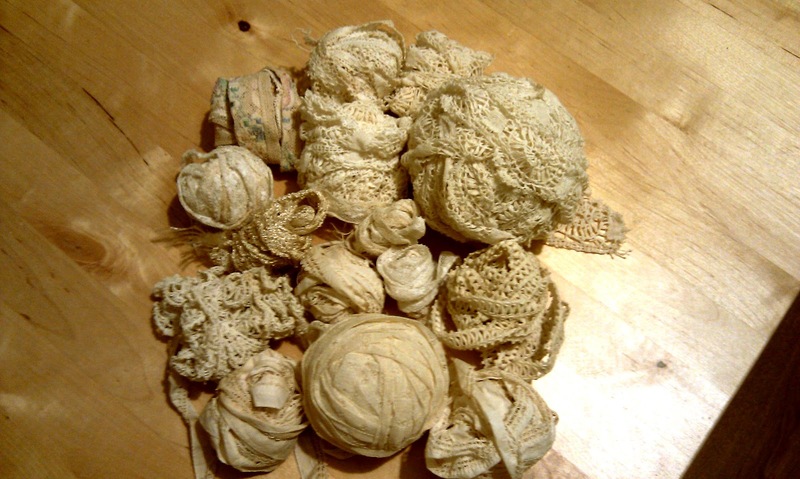 Some if it had become discoloured and stained over time, so I unravelled the lot, and washed them on a ‘delicates’ cycle. This is what they looked like after being in the tumble dryer! 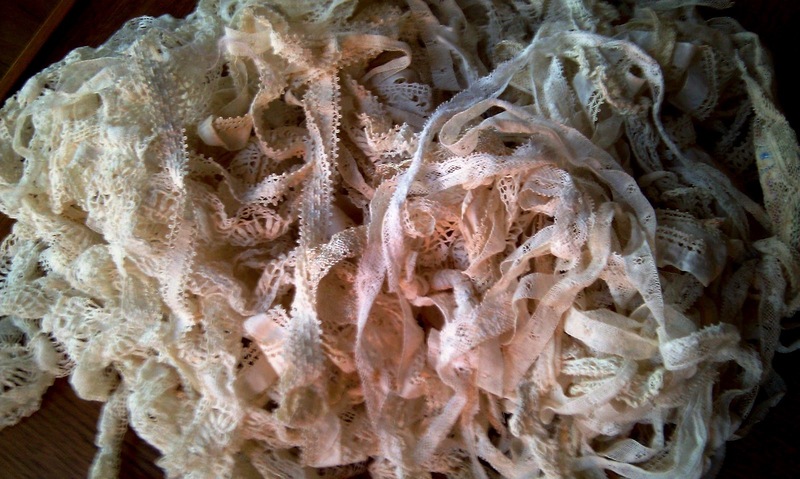 Clean and fluffy, but incredibly tangled! So while watching team GB completely fluff the 4 x 100m this evening, I unravelled, untangled and made sweet little balls of lace! What I should really be doing with these next is ironing them out and re-carding them. But after spending 4 hours helping the oldest teenager gut her bedroom today (4 bin bags later!) I have run out of steam! They are safely back in their vintage tin, and I just know I won’t ever get around to re-carding them. That doesn’t mean I don’t have lots of plans for these lovelies – they will most certainly get used! Tomorrow is my first of two ‘Christmas in August’ open workshops. I briefly thought about bringing in the Christmas cd and tinsel, but I just can’t bear it! But I am looking forward to seeing what Christmas delights folks decide to make! Hope you’ve had a great end to the week! Previous Previous post: Sew Bee Relieved! Next Next post: Modern Maud's Autumn Debut!